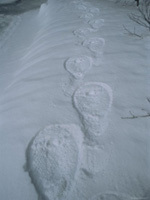 Snowshoe and pole rental, hot beverage, and trail snack included on 2 and 4 hour snowshoe tours. A hot lunch is included on thehalf day and full day snowshoe tours. All meals are included on the overnight yurt trip, from lunch on day one, through breakfast and snack on day two. Private trips for large and small groups available upon request. 2 Person minimum on Overnight Yurt Trips. Copyright © 2008-2018, Taos Snowshoe Adventures. All Rights Reserved.